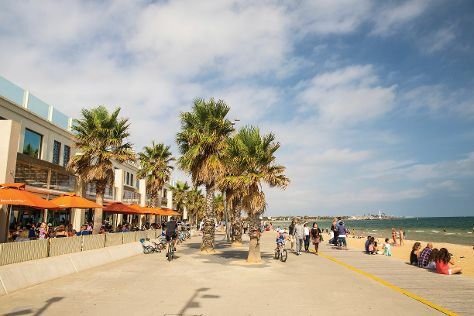 Visit St. Kilda Beach and Sandridge Beach for some beach relaxation. Your cultural itinerary includes sights like Melbourne Museum and Shrine of Remembrance. There's much more to do: admire the natural beauty at Royal Botanic Gardens, steep yourself in history at Old Melbourne Gaol, meet the residents at Melbourne Zoo, and explore the world behind art at National Gallery of Victoria. If you are flying in from Indonesia, the closest major airport is Melbourne International Airport. In November in Melbourne, expect temperatures between 26°C during the day and 11°C at night. Wrap up your sightseeing on the 7th (Wed) early enough to travel back home.